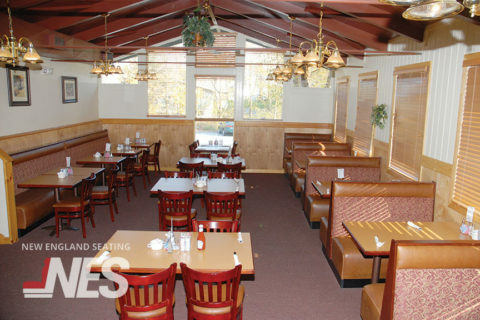 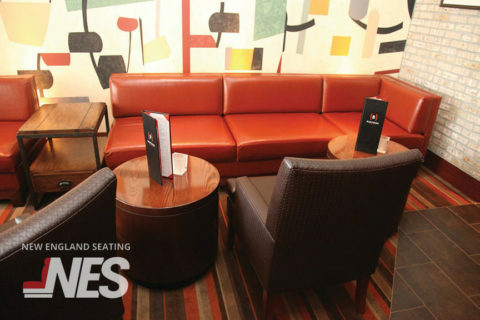 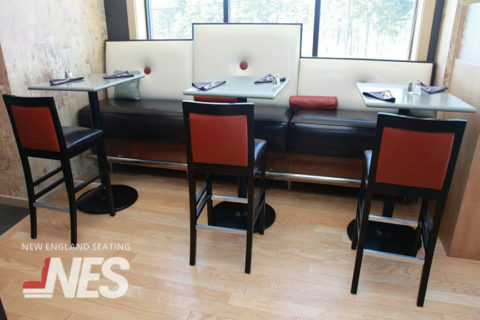 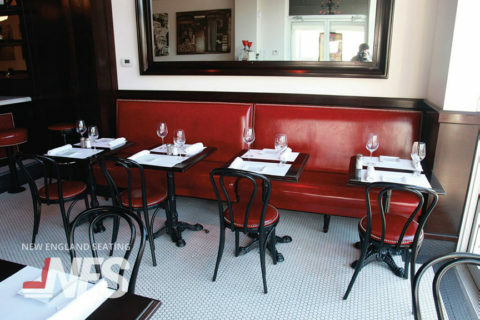 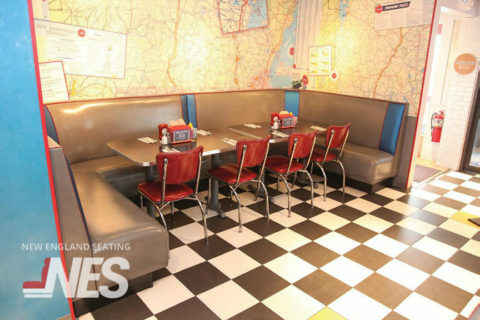 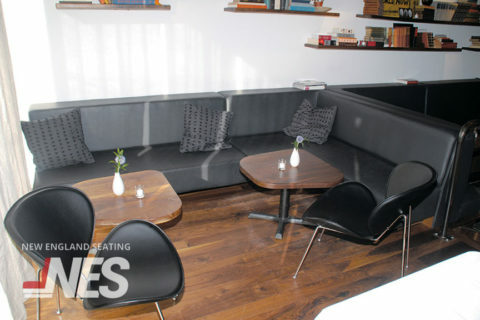 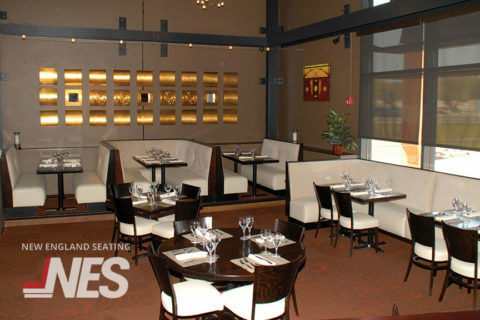 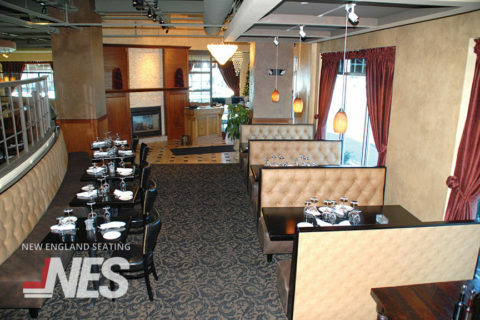 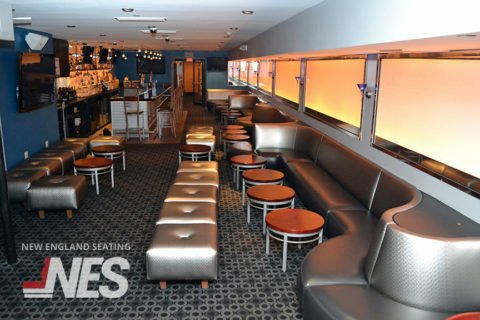 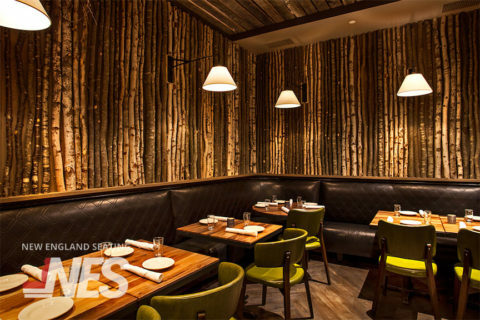 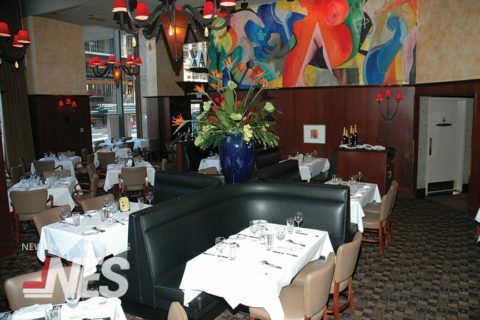 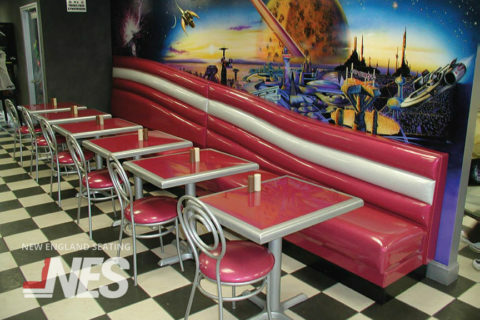 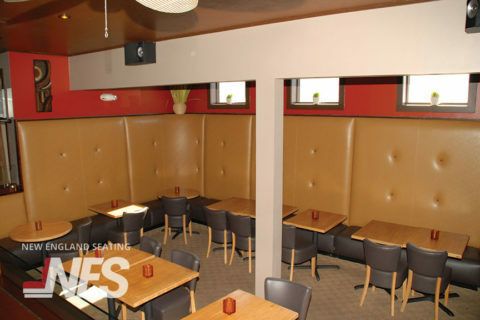 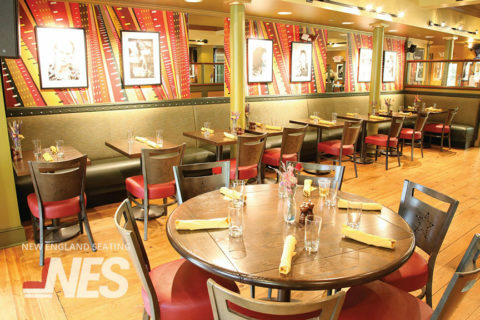 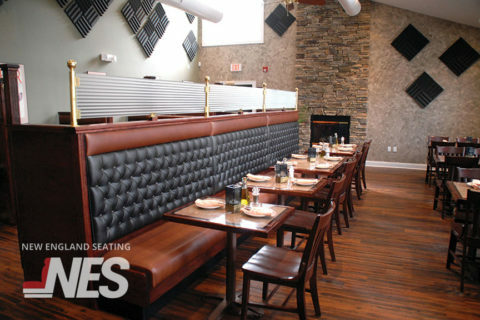 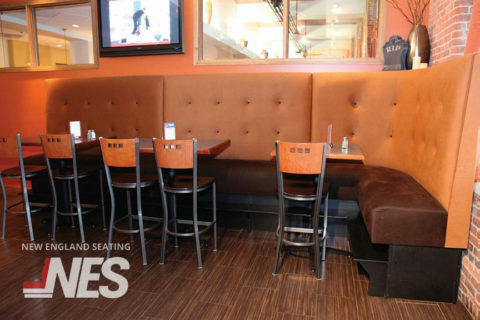 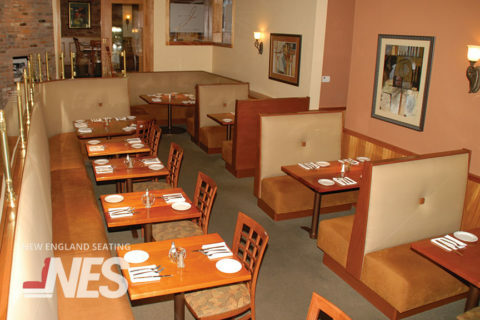 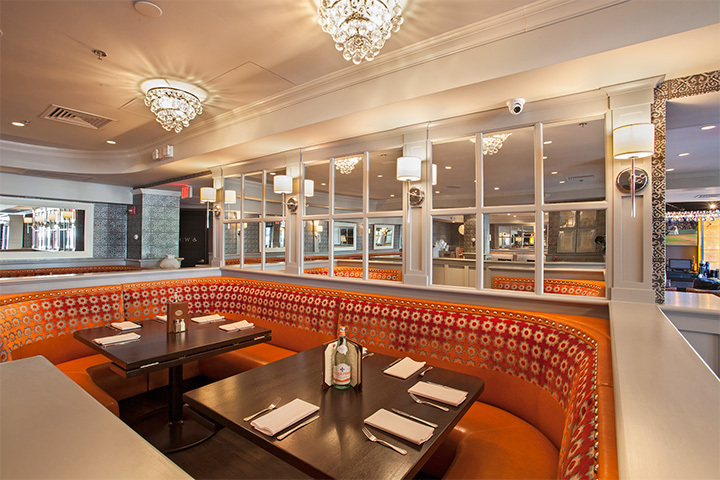 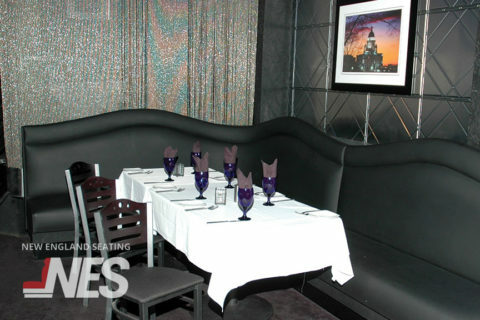 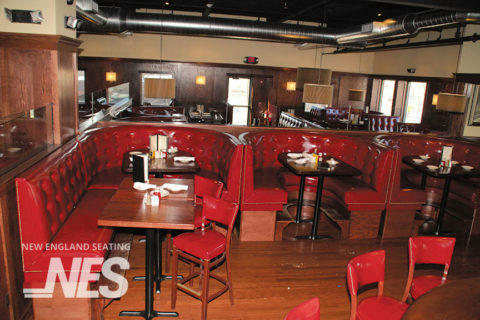 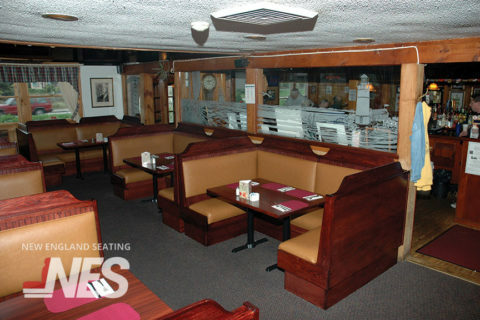 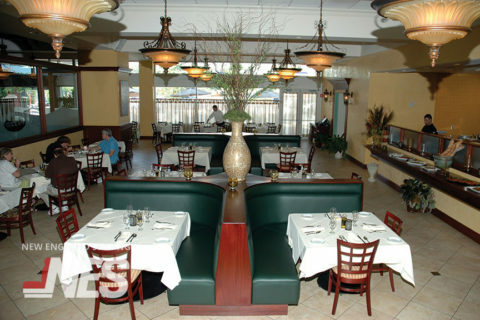 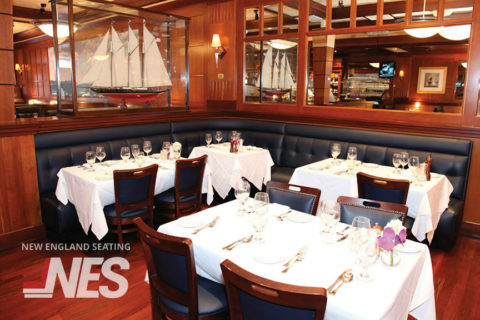 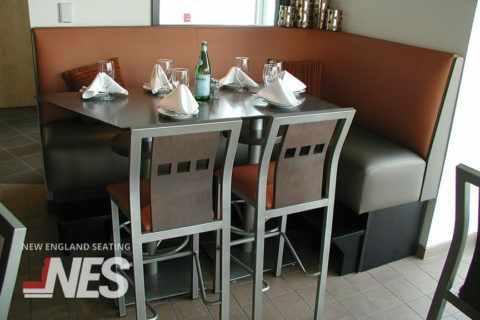 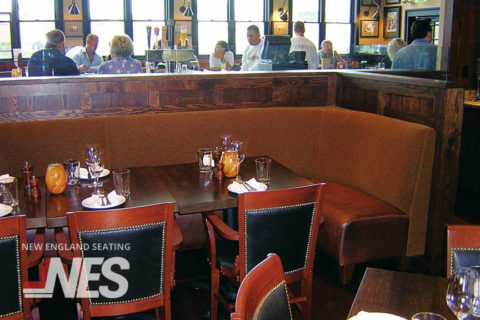 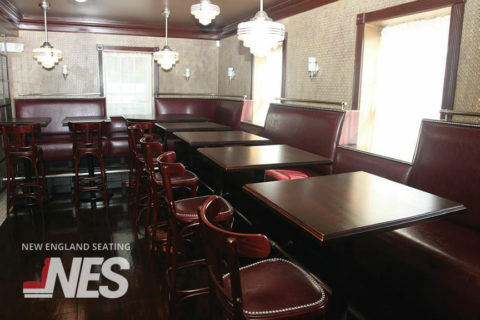 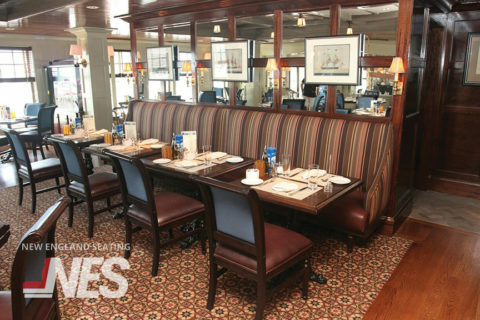 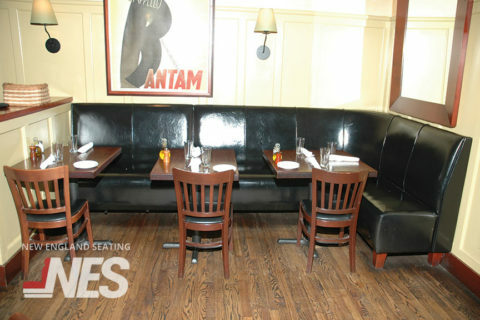 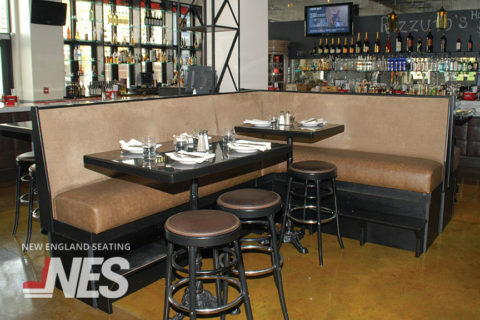 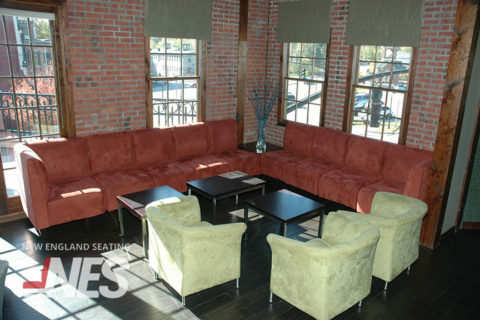 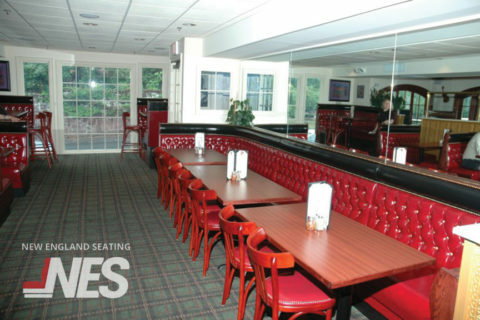 Banquette style booths are a perfect option for large parties, as well as wall to wall seating. 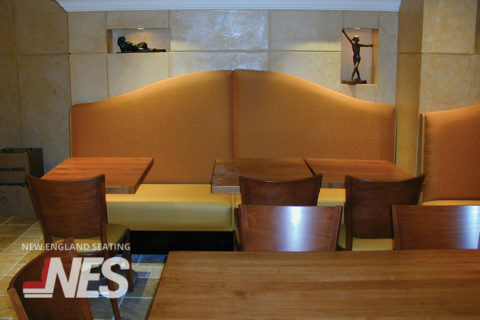 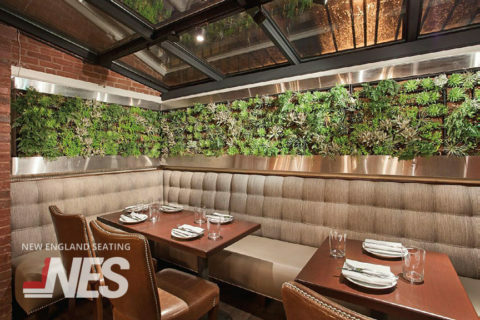 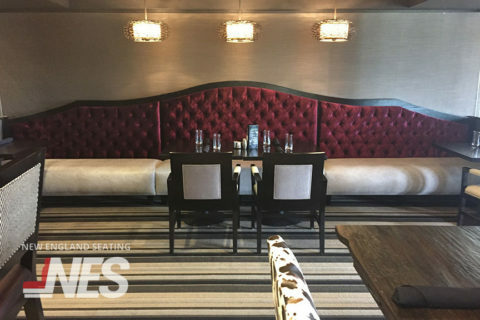 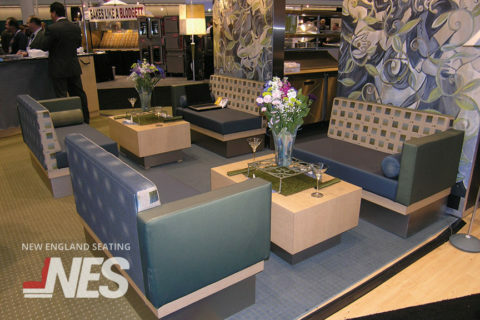 Because banquette style booths can be made to accommodate your existing layout, they add a highly custom look to your space, while maximizing your seating capacity. 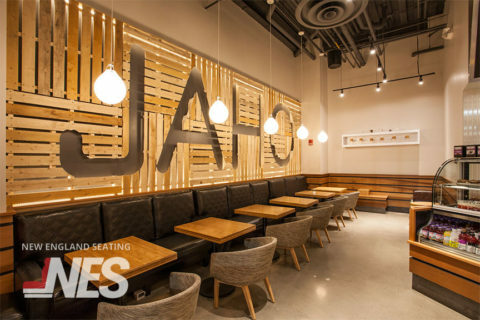 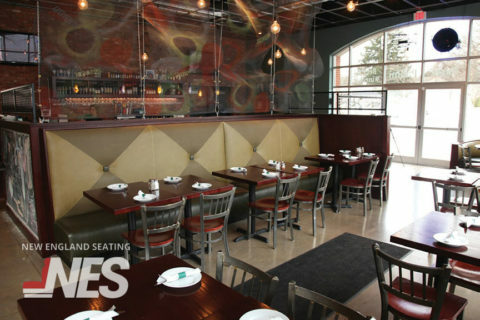 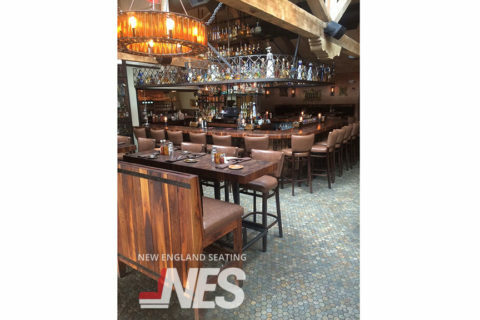 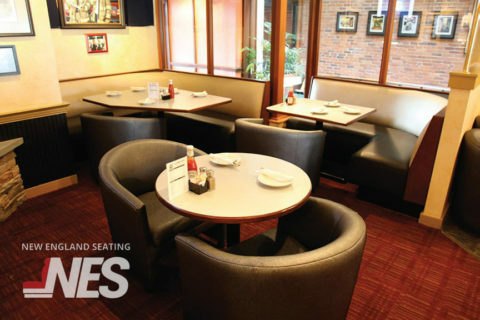 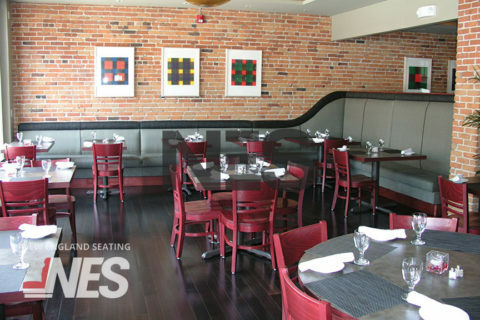 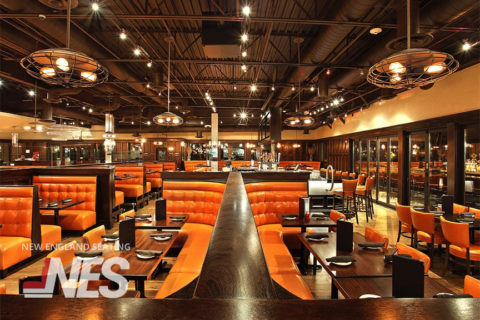 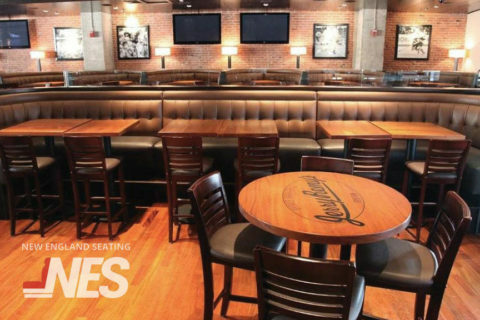 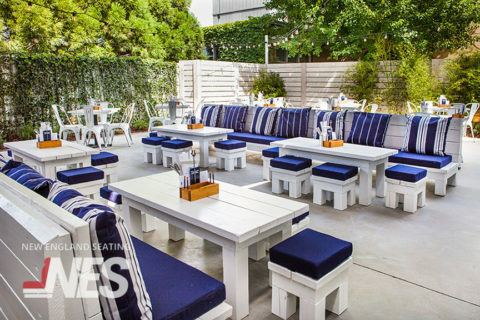 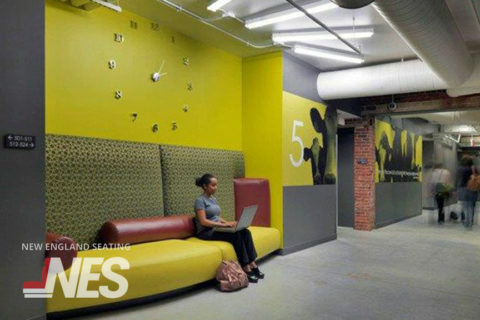 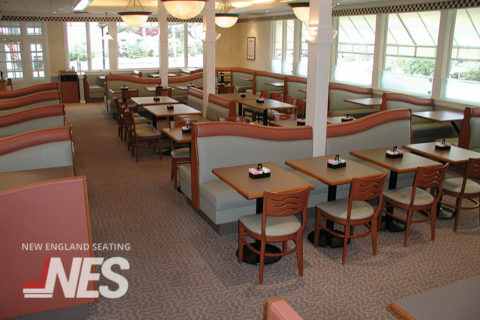 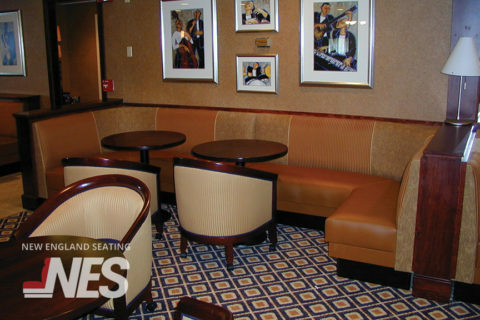 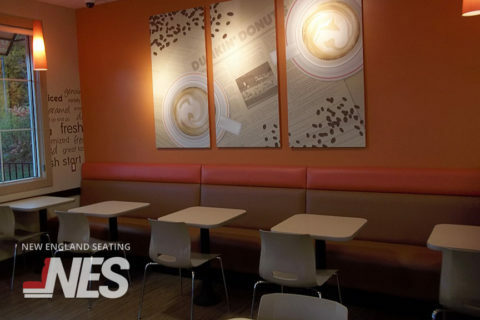 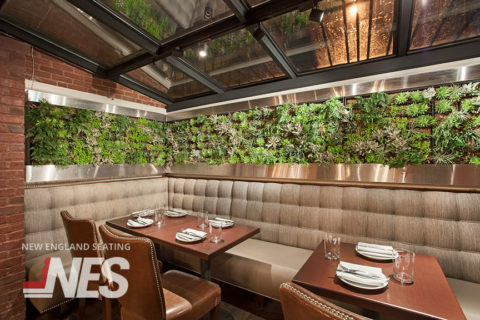 Stationary wall to wall seating also minimizes walkway obstructions, giving you a cleaner layout, while making it safer for staff to navigate through your restaurant. 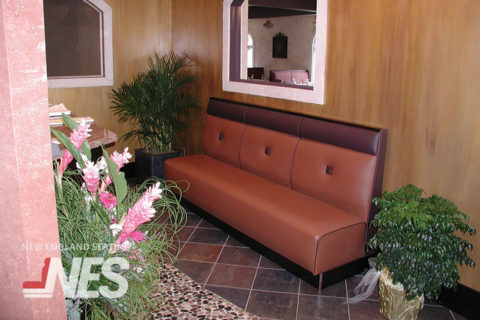 Banquette style booths are available with the same customizable options as singles, doubles and rounds, and can be made to match your existing design.